Here’s a local history photo for the upcoming week. 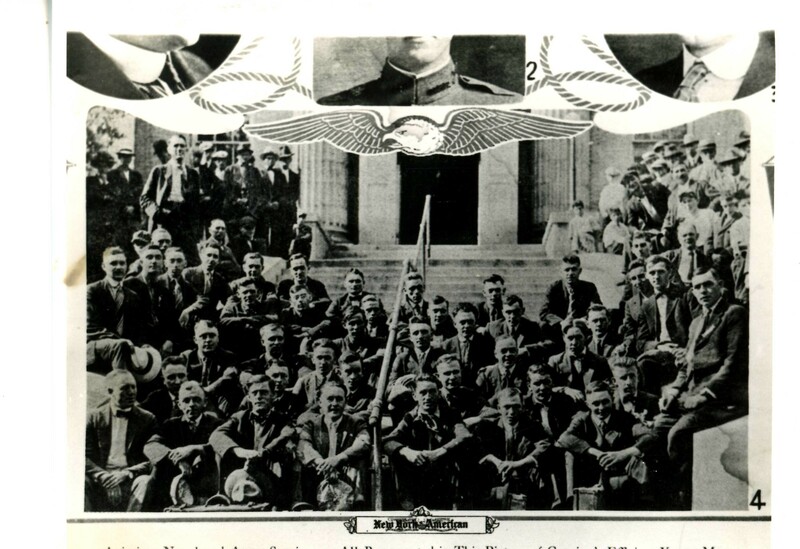 The photo shows a group of local servicemen who are just about to embark for Europe to fight in World War I. The notation on the record card says “Some of Corning’s national Army who left the city on July 23, 1918. And I think they might all be sitting on the steps of the court house in Corning. I know we’re past Memorial Day, and July 4 is approaching with breathtaking speed, however, it seems appropriate to me to remember those who have served their country as we get ready to celebrate the birthday of our country. Happy 4th of July and hats off to all U.S. veterans past and present!